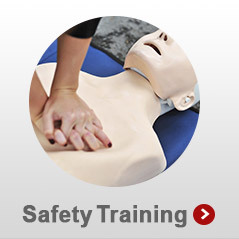 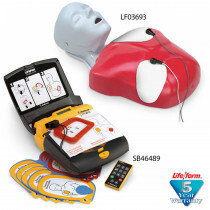 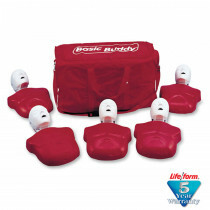 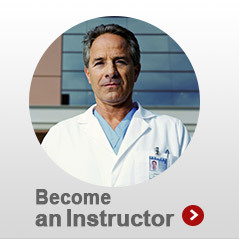 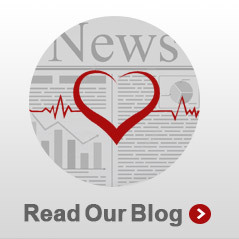 The Basic Buddy CPR manikins are a dramatic, inexpensive, and state-of-the-art manikin designed for teaching individuals or large groups the life-saving techniques of CPR. 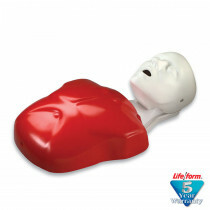 The one-piece, disposable lung/mouth protection system makes this manikin completely sanitary — there is no risk of cross contamination and no need to sanitize the manikins after use! 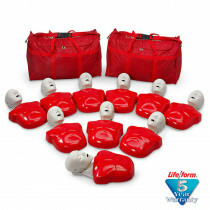 They come as singles and as multiple packs.With a plethora of supplies and accessories, your Basic Buddy Manikin is well equipped for teaching and learning CPR.NEW! 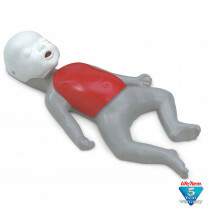 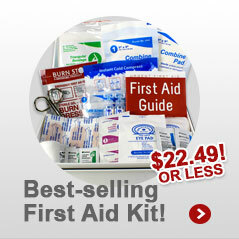 Free Ground Shipping on Basic Buddy and Baby Buddy Manikins! 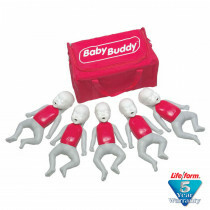 Basic Buddy Ten Packs - With both adult and child capabilities, the Basic Buddy Ten Pack is the most economical way to get manikins for instruction. 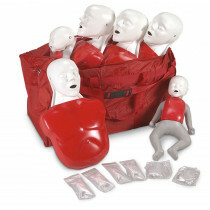 Rugged carrying bags make transporting the Basic Buddy and the Baby Buddy convenient (manikins fit into bags fully assembled). 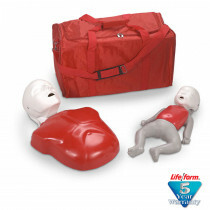 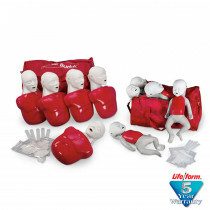 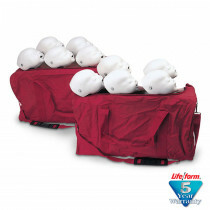 Consists of five adult/child and five infant manikins, 50 adult/child and 50 infant lung/mouth protection bags, 10 lung insertion tools, carrying cases, and two instruction manuals.